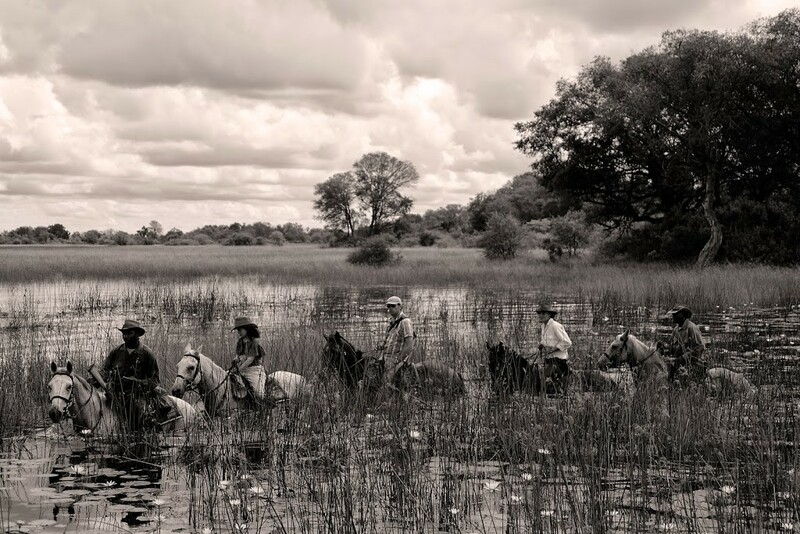 I’ve scoured my various holiday albums and over the years I have been on quite a few African riding safaris – here are some of the best riding safari photos in Africa. 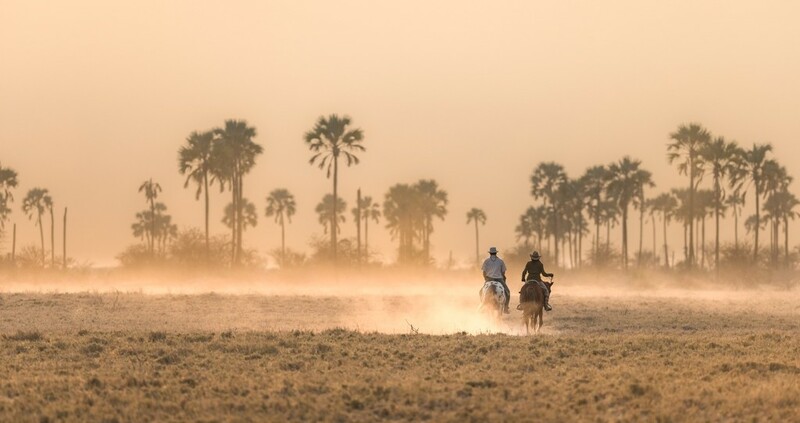 Singita Grumeti arranges day rides from its lodges and tented camps, or multi-day riding holidays in Tanzania’s Serengeti. 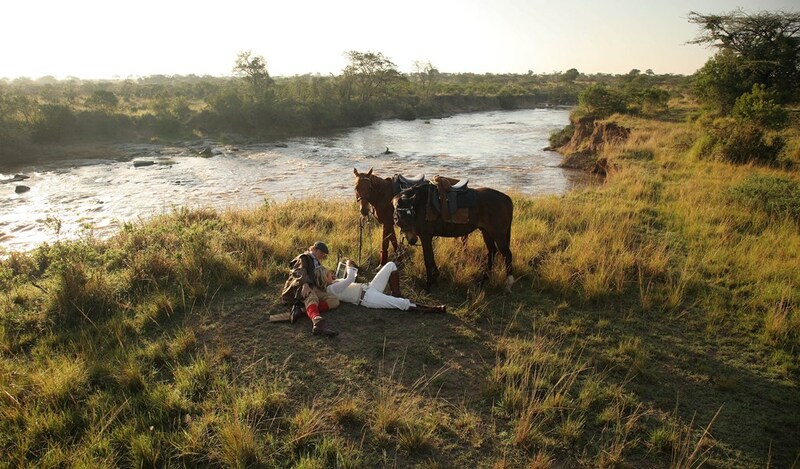 Singita Grumeti has closed however we can recommend other similar rides. 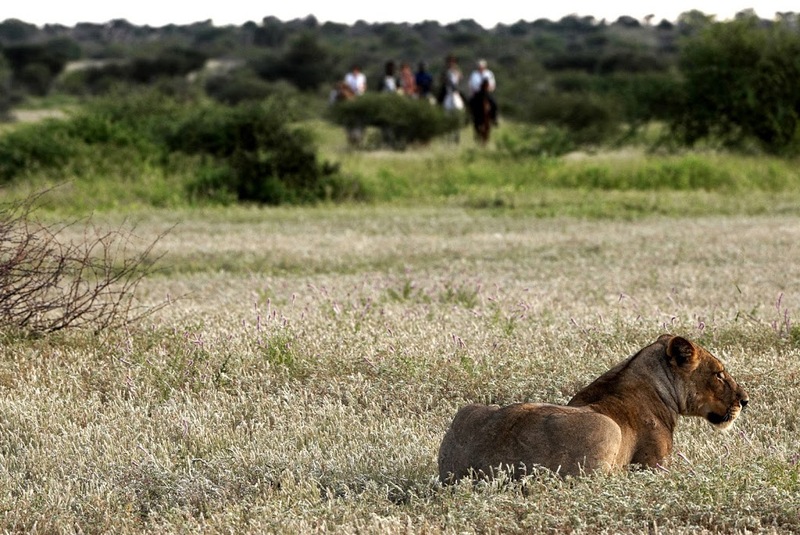 The wildebeest migration moves through the Serengeti and passes Singita Grumeti between May and July most years. 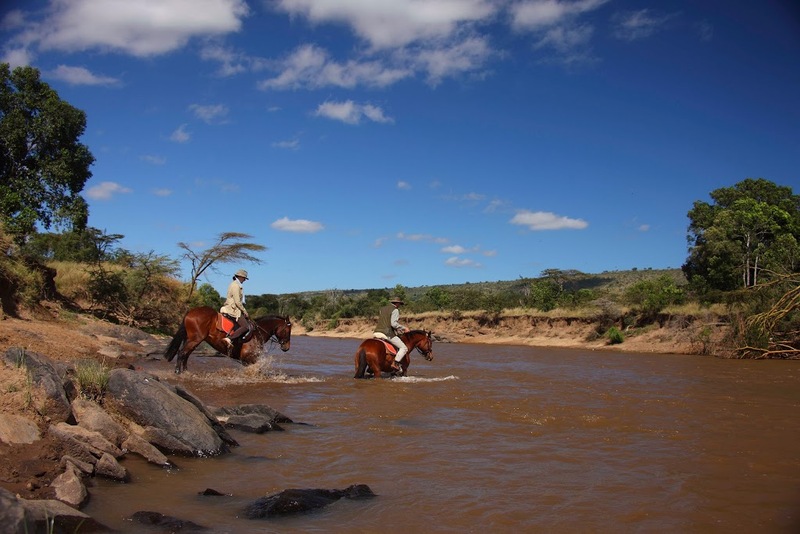 A holiday here is one of the best ways to see the migration from horseback. 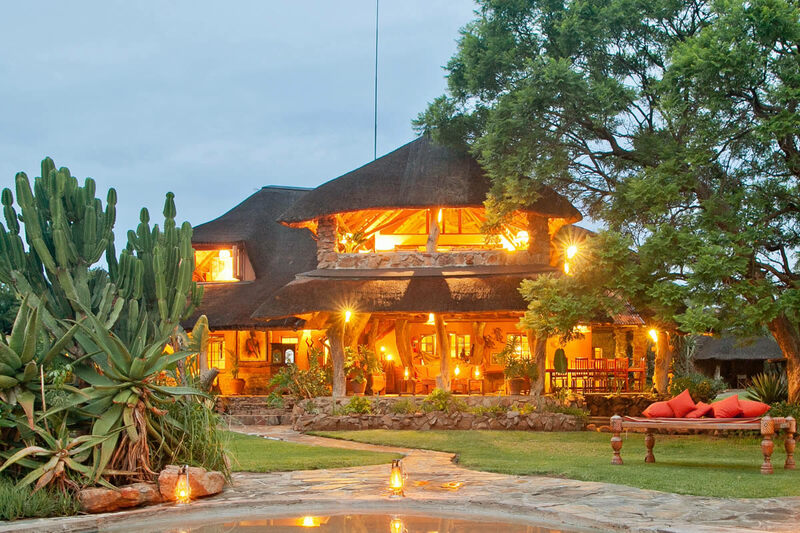 Singita Grumeti has closed however we can recommend other similar rides. Offbeat Riding Safaris is a Kenyan company running riding holidays in the Masai Mara and beyond. 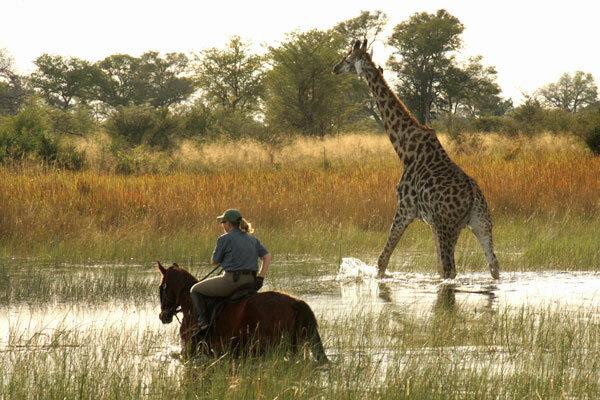 Limpopo Horse Safaris is based in the Tuli area of Botswana and offers holidays for riders and non-riders alike. 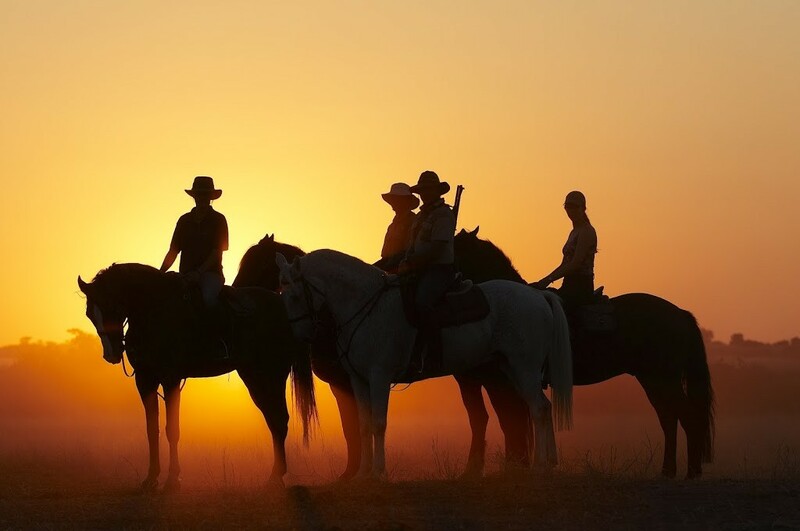 Wildlife trusts humans on a horse and seeing predators without the noise of a diesel engine from a game vehicle is one of the finest safari holiday experiences. 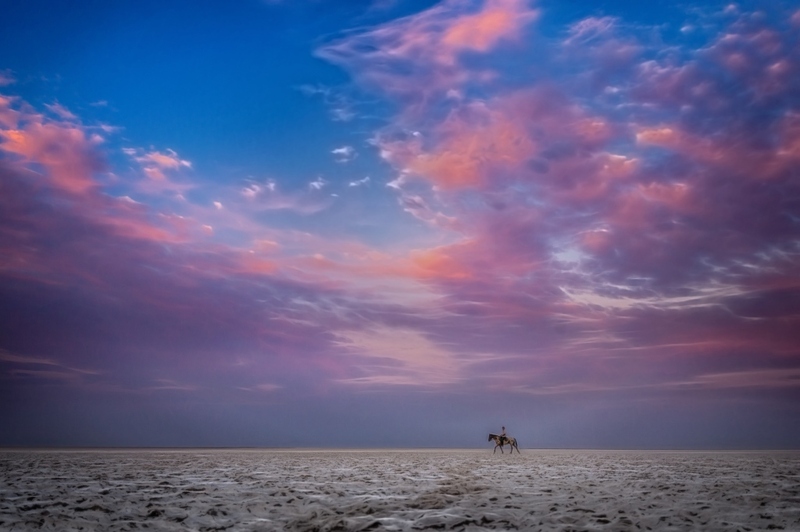 Wide open spaces and good ground make Tuli region in Botswana an excellent place for a fast ride. 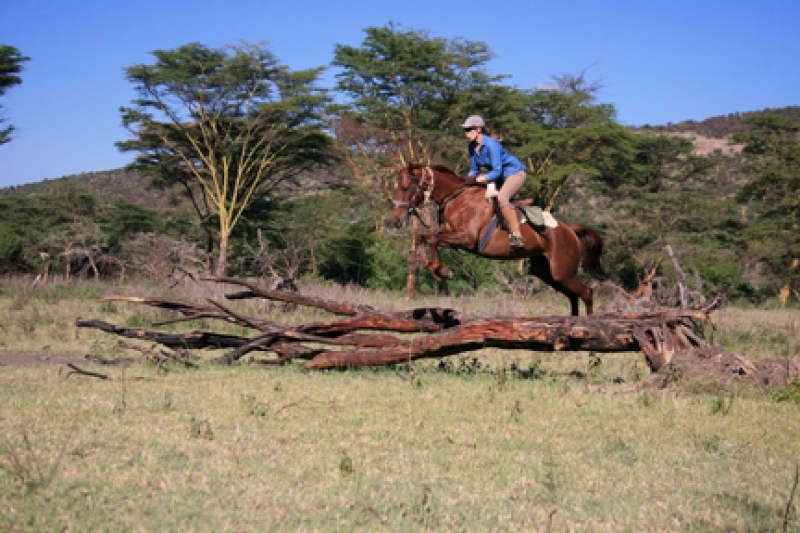 Safaris Unlimited understands a riding safari holiday is not just about the riding, but the holiday aspect is important too! 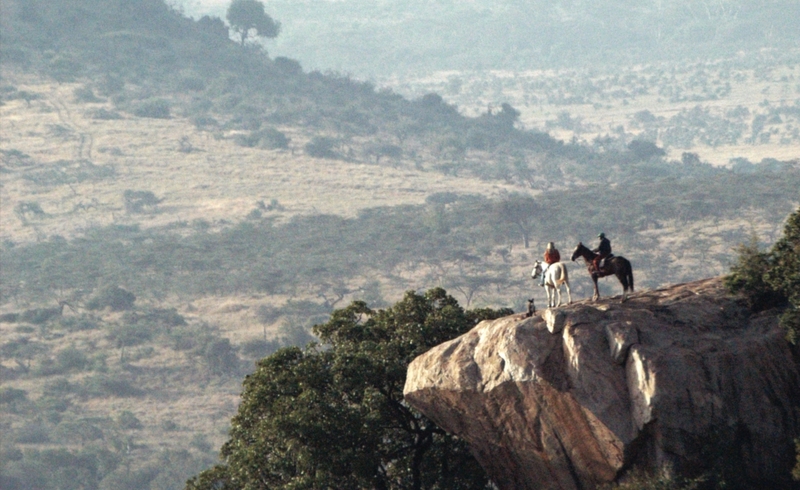 Borana offers riding as a safari activity from its lodge in Kenya’s Laikipia region. Different seasons in Tuli bring a variety of riding experiences as the flora and fauna changes with the fluctuations in temperature and rainfall. 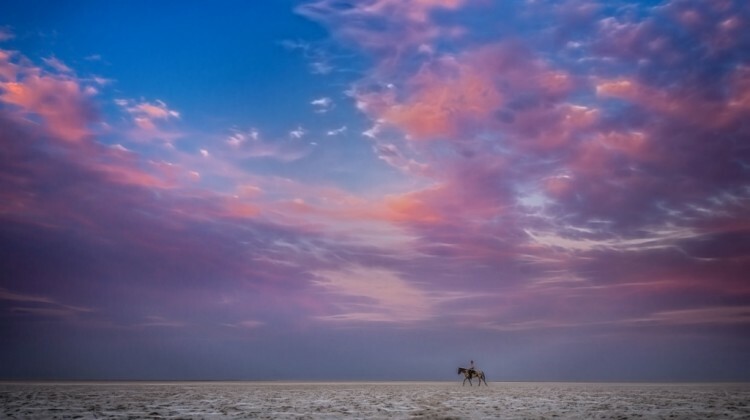 Ride Botswana offers riding safari holidays on and around the salt pans of Makgadikgadi. 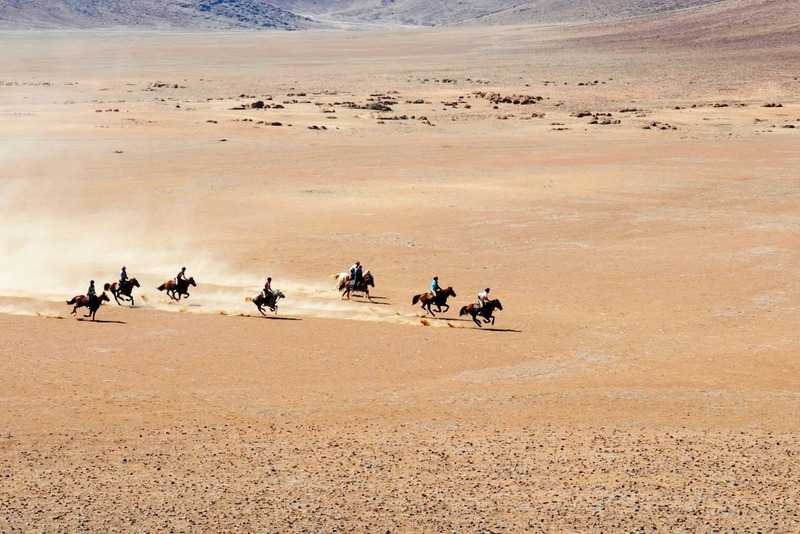 Namibia Horse Safaris offers experienced riders extraordinary riding holidays in the arid, striking landscape of Namibia. 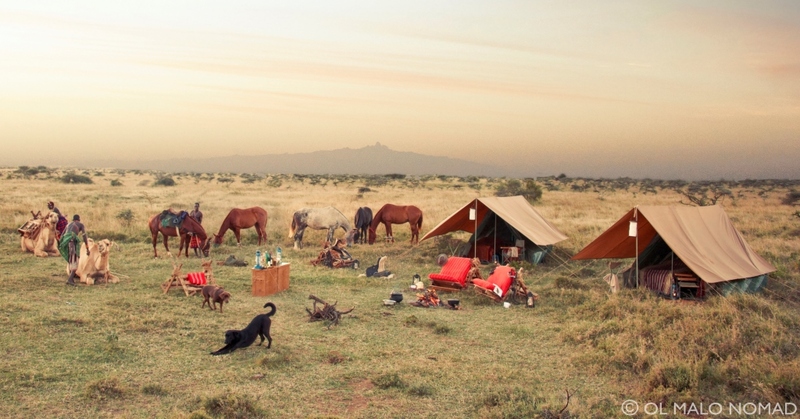 Ol Malo’s overnight camps in Laikipia may look simple, but there’ll be ice in the G&T’s and a freshly cooked meal waiting at the end of a day’s riding. The horses are well-schooled and the landscapes are jaw dropping. 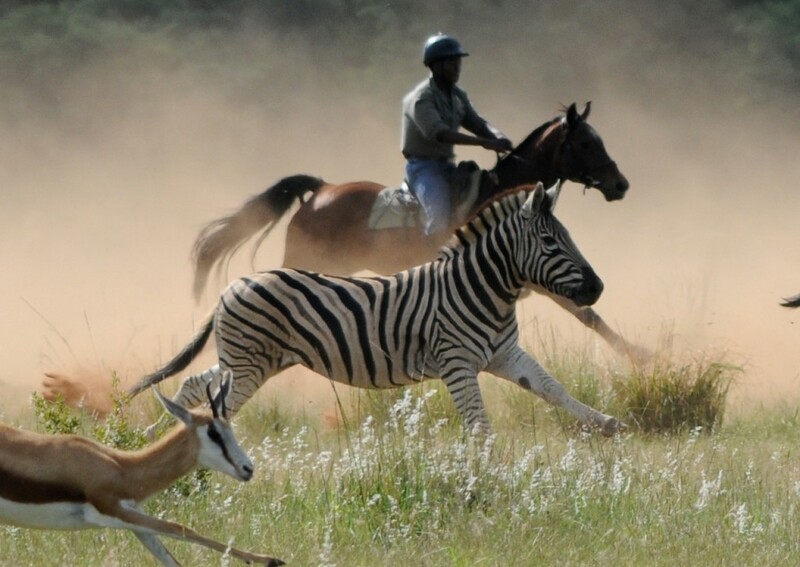 A riding safari holiday is among the best ways to explore Africa. Gordie Church of Safaris Unlimited leads the way across this swollen river, adding even more excitement to you riding day. 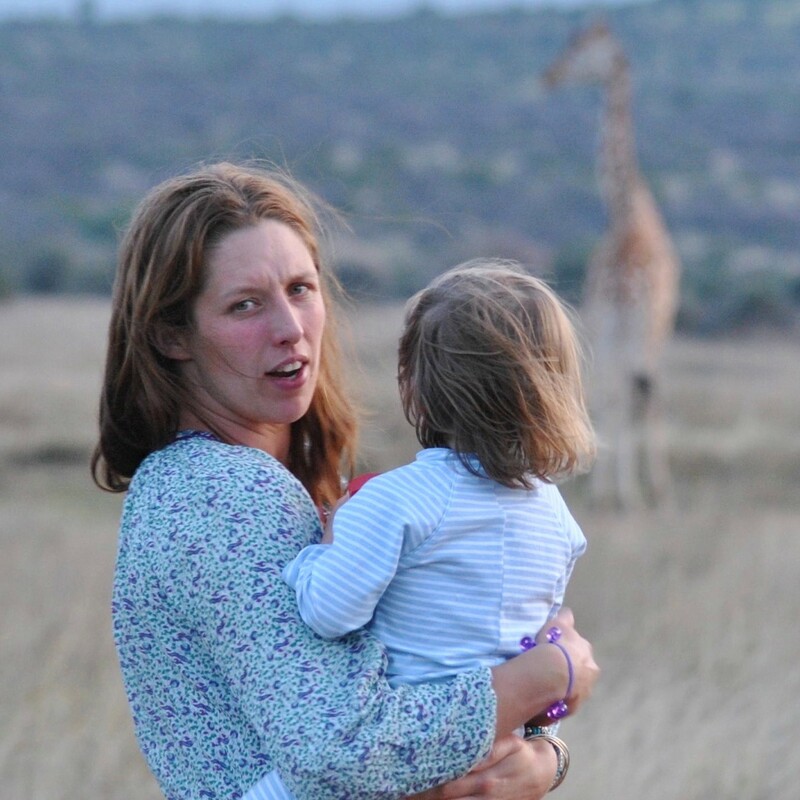 I’m a director at Aardvark Safaris (@AliceGully) and mother of triplets, I own an eventer and two ponies, and have been tailoring African trips for families for over 16 years. 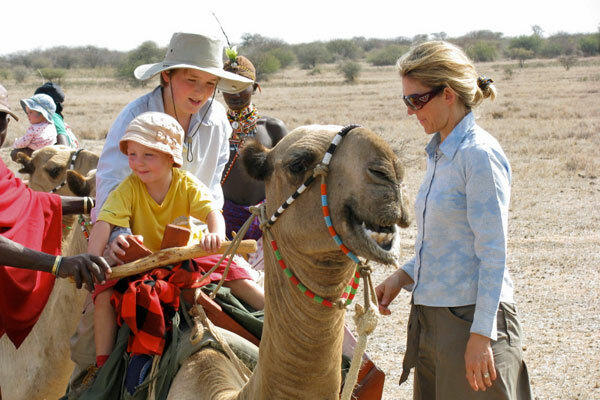 If you would like to ride on a personally guided tour with me I will be hosting a group safari ride in Kenya in October 2018. 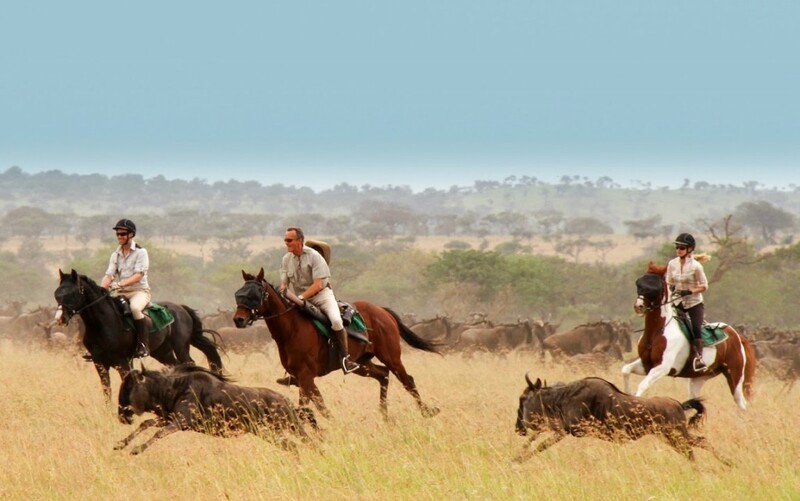 The 7 day Masai Mara riding safari is run by Safaris Unlimited. 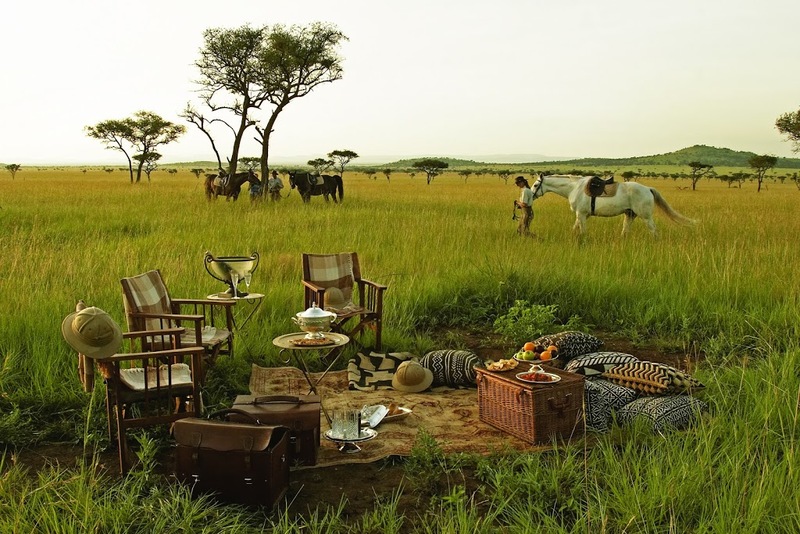 It will be a seven day safari, enjoying superb game viewing in one of Africa’s most famous wildlife areas riding alongside wildebeest, zebra, giraffe and gazelle. 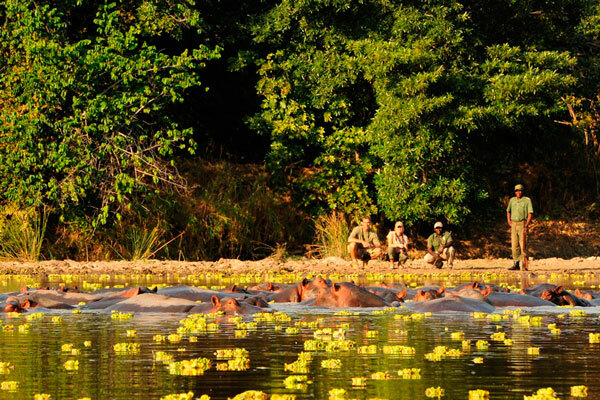 Contact me if you would like further information on this trip or any other riding safaris.